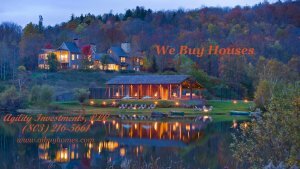 We Buy Homes In Blythewood SC! Agility Investments is a real estate investment company that buys, remodels, and sells houses. We buy homes in Blythewood SC for cash and, once our offer is accepted, we can close quickly as we do not have to wait for a bank to come through with financing.